If you are trophy hunting changes are big that you just attack a lot and try to defend your base as much as possible to keep that trophies. With a trap base you can give your trophy hunting an extra boost. It is very effective and will give you trophies even when you are offline! Closeup of the traps in the base. 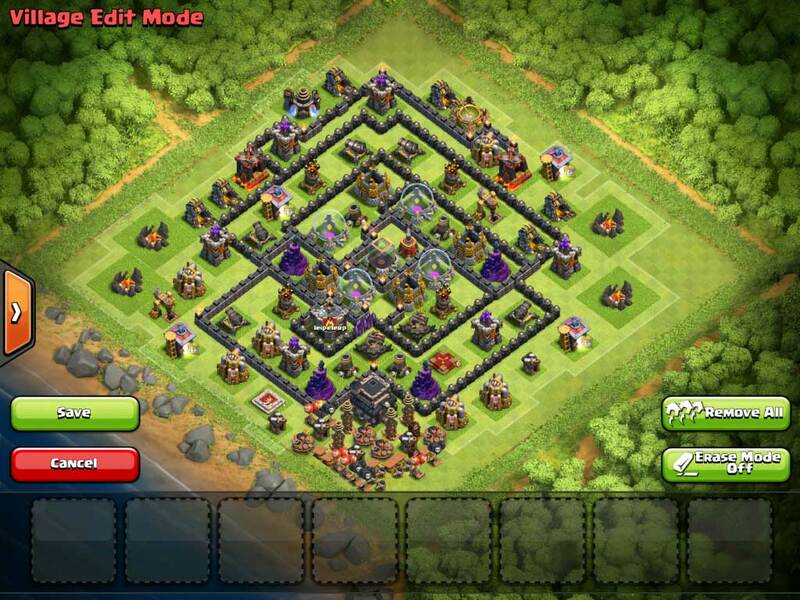 The attacking player will think that it is an easy win for him by sniping your townhall. But he soon sees that it is trapped. Most players will rush their troops and then the traps come in handy. The bombs will take out groups of troops, the springs will plunge them away and the air bombs take care of any flying troops. Meanwhile the mortars and wizard towers are constantly attacking all troops. The hidden tesla’s will take care of the bigger troops like the hero, pekka or golem. 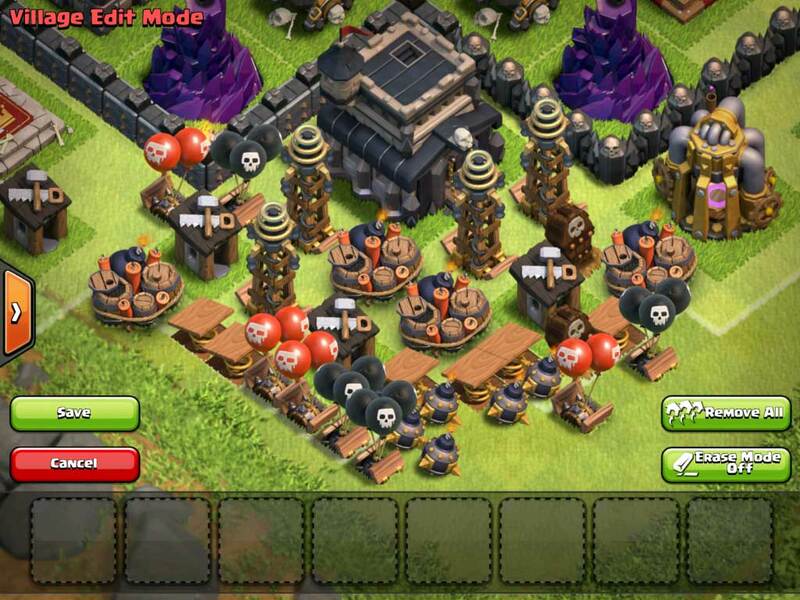 If the troops come too close to the townhall the archer queen and barbarian king will also come in to action. You will not win every attack with this layout but we managed to get a 70% succeed rate. If you win the trophy count will be in between of 20~30. But if you lose you will lose only 1~8 trophies most of the time because they get only 1 star. The only downside of this base is that after every attack you will need to re-arm all traps and that can cost quite a bit (up to 200.000 gold and elixir). So it is wise to have some cash before starting with this layout.